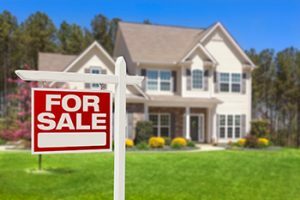 Are selling your home? What should you do first….update the bathroom? Update the kitchen? First of all – clean your windows! Ok, what you really need to do first is find a good estate agent. There are many good estate agents throughout the Wirral. We recommend Whitegates, Carl Tatler, Brennan Ayre O’Neil, and Andrews’s estates just to name a few. The key is to find an estate agent who really instills confidence that they can sell your property quickly and for the best price possible. One thing every estate agent will agree on: you need to spruce up your home for potential buyers. Once you have found an estate agent who has earned your trust, they will provide you with a few suggestions to prepare your home ready for viewing by potential buyers. You have to get the paint out and apply a coat of paint here and there. Empty the garage or the shed, and maybe tidy the children’s bedroom? It’s pretty simple: any potential buyer needs to imagine themselves living in your home. Your task is to help them imagine that very scenario by making your home as clean and tidy as possible. Keep in mind: when you have arranged a viewing for a potential buyer to visit your home, they’ll notice the windows first. First impressions matter….what does your home say to prospective buyers?